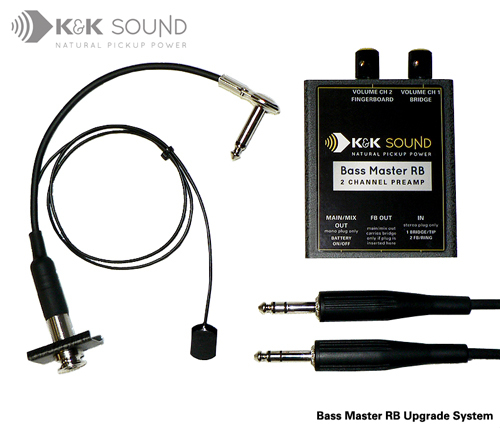 Important: If you are purchasing a Bass Master RB Solo or Upgrade system, please make sure your existing preamp or pickup is compatible. If it is not a K&K preamp or Bass Max pickup, please contact our tech support department first. Upright bass pickup with four 3/4" diameter pickups amplify each string for perfect balance.